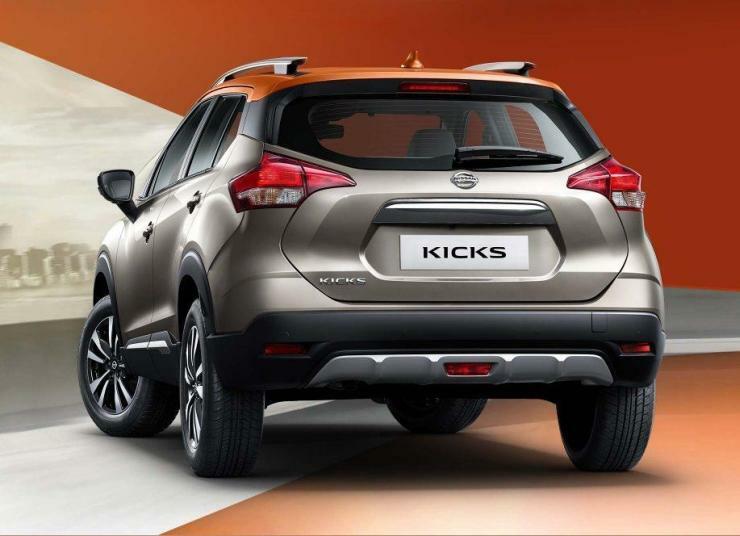 Nissan has today launched its much awaited Kicks compact SUV in India. The company has strategically placed the starting price of the Kicks at Rs. 9.55 lakhs (ex-showroom) for the base petrol variant. We drove the Nissan Kicks last month and brought an in depth review of the car for you. 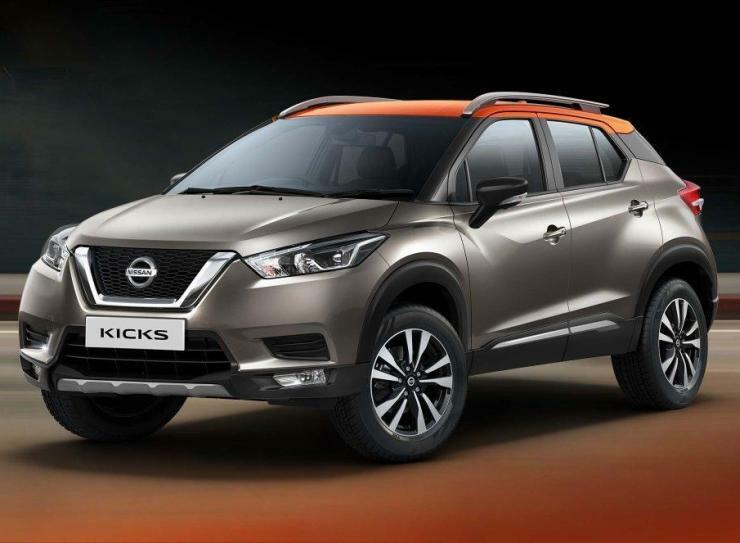 The Kicks will be Nissan’s second vehicle in the segment, the first one being the Terrano. The Terrano, albeit cheaper, shares its engines and platform with the Kicks. Down below is a detailed price list of the Kicks. As seen above, Nissan has launched the Kicks with four trim levels across two engine options. The Kicks is based on the same B-Zero platform which underpins many other vehicles like the Renault Duster, Captur and the Nissan Terrano. The Indian spec Kicks is larger than the international model. It measures 4,384 mm in length, which is precisely 89 mm longer than the model sold abroad. The Kicks measures 1,813 mm in width and 1,656 mm in height along. The wheelbase of the compact SUV is 2,673 mm and it has a good ground clearance of 210 mm. As a point of reference, the Hyundai Creta is smaller than the Kicks in all dimensions and has a wheelbase of just 2590 mm, which is 83 mm shorter than the latter. The Nissan Kicks is the most feature rich vehicle by the company in India currently. 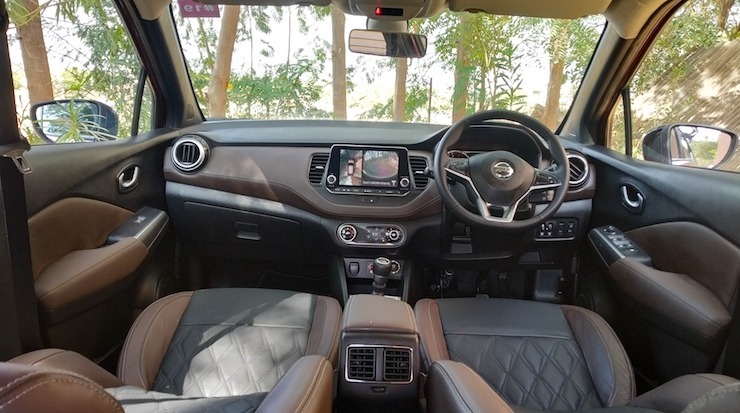 The compact SUV gets brown-black two tone interior theme along with premium leather seats, driver and passenger armrests, rear AC blower, four airbags, and 360 degree parking camera. Other notable features include a start-stop button, keyless entry, automatic headlamps, cruise control, steering column mounted audio controls, a touchscreen infotainment unit with Apple CarPlay and Android Auto, automatic climate control, USB charging ports, powered wing mirrors with folding function and 4 powered windows. Safety features like Driver and passenger side airbags, ABS and EBD, rear parking sensors and braking assistance are standard across the range. This is in lieu with the upcoming government safety norms. The top two trim levels also get Hill Side Assist (HSA) feature, which could come handy on slopes and mountain roads. The compact SUV rides on stylish 17 inch machined alloy wheels and are shod with 215/60 section tires. However, the base XL model gets 16 inch steel rims that are shod onto 215/65 section tires. The front tires have been equipped with disc brakes while the rear gets drum brakes. Other exterior design highlights include a floating roof, two tone paint job, silver roof rails, V-motion grille and flared wheel arches among other touches. Overall, the Nissan Kicks is quite a looker in its own respect. The Nissan Kicks will be powered by a 1.5 litre H4K petrol engine that churns out 106 PS of power at 5,600 rpm along with 142 Nm of torque at 4,000 rpm. The diesel engine, on the other hand, is a 1.5 liter-4 cylinder K9K dCi unit which produces 110 PS of power at 3,850 rpm along with 240 Nm of torque at 1,750 rpm. A 5 speed manual gearbox will be standard with petrol engine, and will drive the front wheels. The diesel, on the other hand, gets a six speed manual. The company has not offered an automatic gearbox option with the Kicks, even as an option. This can be a big bummer for many as automatics now account for a good share in sales. However, an auto box would be brought in by the company at a later stage. Talking of fuel efficiency, the Nissan Kicks gets a mileage of 14.23 km/l for the petrol engine. The diesel gets a mileage of 20.45 km/l for the base XL trim while the higher trims have a mileage rating of 19.39 km/l. The Nissan Kicks will be available with a host of paint colours, which include solid shades as well as dual tone shades. The colours range from popular shades like white and silver to dual tone like red-black and white-orange. To be precise, a total of 11 colour options have been made available on the Kicks. The company is also offering 3 year warranty along with 3 year road side assistance and 3 year service maintenance with the Kicks at no extra cost. This translates into very low after sales costs and makes the deal even sweeter. Now Nissan has played the pricing game well and have placed the Kicks a Bit lower than the Hyundai Creta. The car is decently equipped and gets good engines too. This could be the vehicle that will again bring back Nissan into the sales game. However, the lack of an automatic will definitely hurt its prospects and the company should look into this as soon as possible.